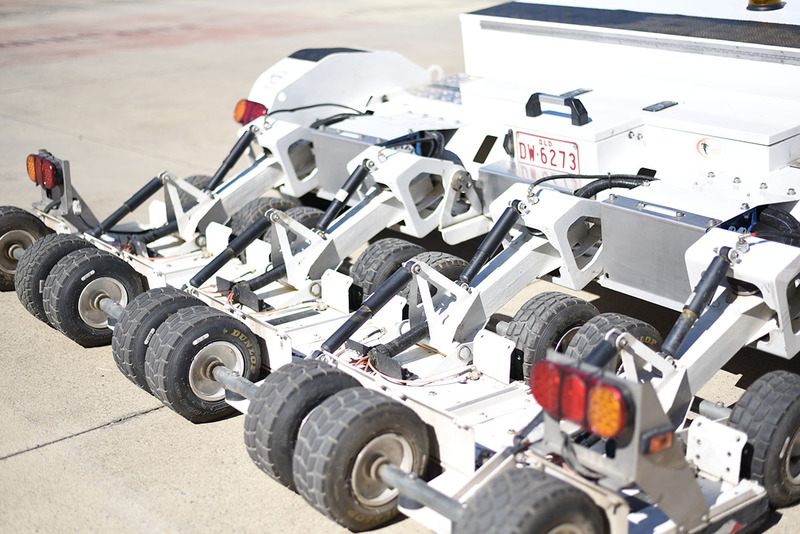 Sparas™ is a trailer-mounted, data collection system incorporating a world-leading traffic-speed 3D Ground Penetrating Radar (GPR) technology with highly-detailed road imaging capabilities. 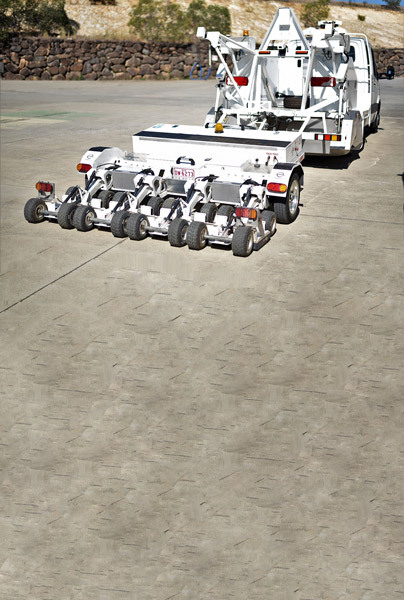 It uses Earth Radar’s second-generation Noise-Modulated Ground Penetrating Radar (NM-GPR) with a robust array of ground-coupled antennas enabling continuous highly-detailed 3D measurements of subsurface features and road construction layers at speeds up to 100 km/h.. The Sparas™ array is a proven design refined over a decade and 10,000 lane-kilometres of field use in harsh Australian conditions. Subsurface measurements are georeferenced using real-time kinetic (RTK) GPS positioning, IMU and an encoder wheel; with the additional ability to use a total station where required. Optional camera systems can then be added for continuous high-definition line-scanning of the road surface and for imagery of the road surrounds.